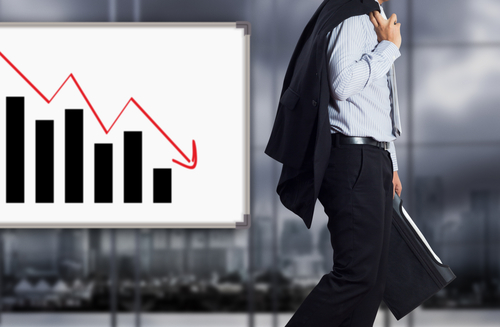 Value Investing » Questions » What Happens to Your Stock when a Company Goes Bust? What Happens to Your Stock when a Company Goes Bust? It’s the part of being a stockholder that no one really wants to think about. But what does happen to your stocks if the company you invested in goes bankrupt? The good news is there is a possibility you could get some money back or the business could be saved. The bad news is that your stocks could be worthless. The first thing you really need to understand is what happens to the company itself. All bankruptcy cases come under federal law and the U.S. Bankruptcy Code lays out two paths that a failing business can take: Chapter 11 or Chapter 7 bankruptcy. Chapter 11 of the Bankruptcy Code is normally used to reorganize the business. It gives the company the chance to alter its practices in a bid to become profitable again. Management are still in charge of the daily running of the company, but all major business decisions need to be given a nod of approval by a bankruptcy court. The other option, Chapter 7, is much more final. The company will cease to operate and will go out of business. A trustee will sell off the company’s assets and the money will be used to pay off debts. The path of bankruptcy the business chooses will determine how likely you are to get any money back as a stockholder. What happens to my stocks with Chapter 11 bankruptcy? Chapter 11 bankruptcy is the path that most businesses would prefer to take. That’s because they have the chance to reorganize their company and, potentially, see it blossom once again. Stockholders will stop receiving dividends during this process and your stocks will likely drop significantly in value. There is a chance that you can recoup some of your investment if the company does become profitable once more, but chances are you will receive little to nothing once the company has filed for bankruptcy. The debtor, under the supervision of the bankruptcy court, must draw up a reorganization plan to get the company out of debt. The debt is not absolved under Chapter 11 bankruptcy but instead the terms of the debt are renegotiated; if it can emerge solvent, the company will continue to repay the debts through its future income. As a stockholder, you may be asked to vote on this reorganization plan, although the court has the final say on whether it goes ahead or not. There is also no guarantee that the business will become a triumph again. One of the consequences of filing for a Chapter 11 bankruptcy is that the company may be delisted from the major exchanges, such as the New York Stock Exchange or the Nasdaq. It would still be possible to trade over-the-counter, since there is no federal law that prohibits trading stocks in a bankrupt company. However, a Q would be added to the end of the stock symbols to denote bankruptcy. If the company is able to emerge successfully from Chapter 11 bankruptcy then new stock will be issued as part of the reorganisation plan. The ticker symbol for the new stock would not have a Q at the end, in order to differentiate it from the old stock. As a holder of the old stock, you may be asked to return your old stock in exchange for the new. You may get fewer shares and they may be worth less than your old shares but at least in this case you won’t be left completely empty-handed. What happens to my stocks with Chapter 7 bankruptcy? The steps of Chapter 7 bankruptcy are much simpler than Chapter 11 but, for the stockholder, it’s pretty bad news. Companies that are in too much debt to continue business will file for Chapter 7 bankruptcy. This is sometimes known as liquidation bankruptcy. The company’s assets will be sold by a court-appointed trustee, and the cash will be used to pay off administrative and legal fees and then creditors. The reason that is bad news for stockholders is because debts are always paid in the same order. Firstly, secured creditors are given their money back. These are people who have loans backed by some form of collateral, for instance land, factories or machinery. Next, unsecured creditors receive their money. These are people who lent money to the company without having collateral in place. Finally, stockholders will get their money. In practice, however, there is usually no money left by the time the secured and unsecured creditors have been paid back. This means that it is extremely likely that, in this scenario, your stocks will be worthless. Where can I find out what is going on? The company: Your first port of call should be to the company itself. They should be able to give you information about where the business is in its proceedings and details about the bankruptcy court. Your broker: The person who sold you the investment might also know information on the proceedings if you can’t get through to the company (stock broker definition). The SEC: The Securities and Exchange Commission will be able to tell you which form of bankruptcy the business has filed. You can access that information through its online EDGAR database. Bankruptcy Court: The court dealing with the process is usually located in the state in which the company is headquartered. The court will be able to provide you with details on Chapter 7 bankruptcy cases. U.S. Trustee at the Department of Justice: The U.S. Trustee will be able to tell you at what stage the bankruptcy process is at. A Securities or Bankruptcy Attorney: Finally, if you feel you may have been defrauded by the debtor, contact an attorney. So, as we’ve seen, the prospects for stockholders are pretty bleak when a company goes bust. As a stockholder it is vital you work out which path the company is going to take so you can put your finances in order. This guest article was written by Hasib Howlader, who is a director at the London-based firm of Insolvency Practitioners Hudson Weir. He is also a chartered accountant and chartered tax adviser.